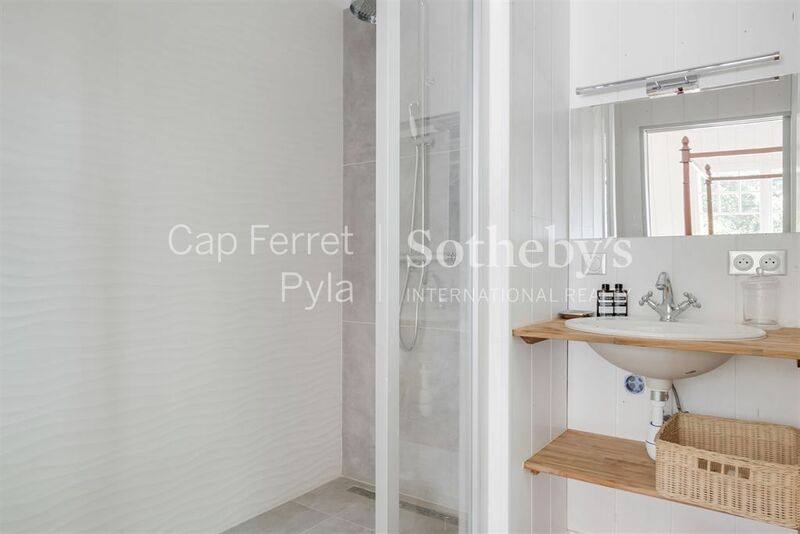 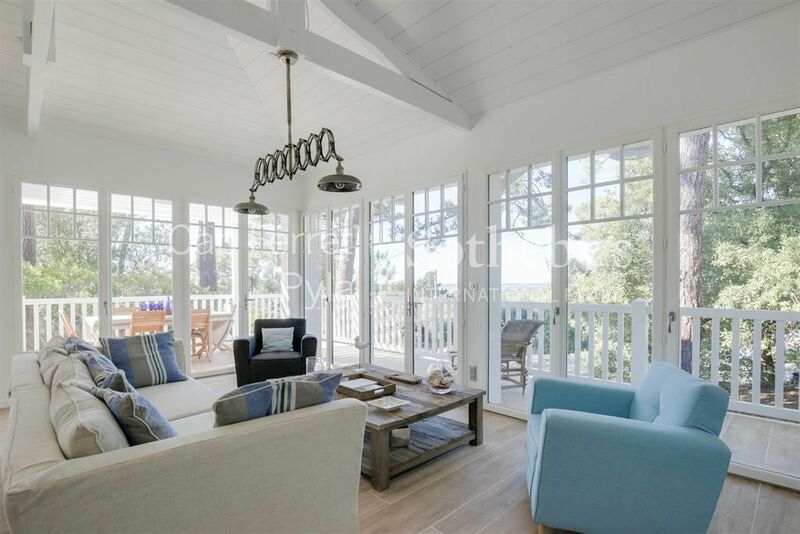 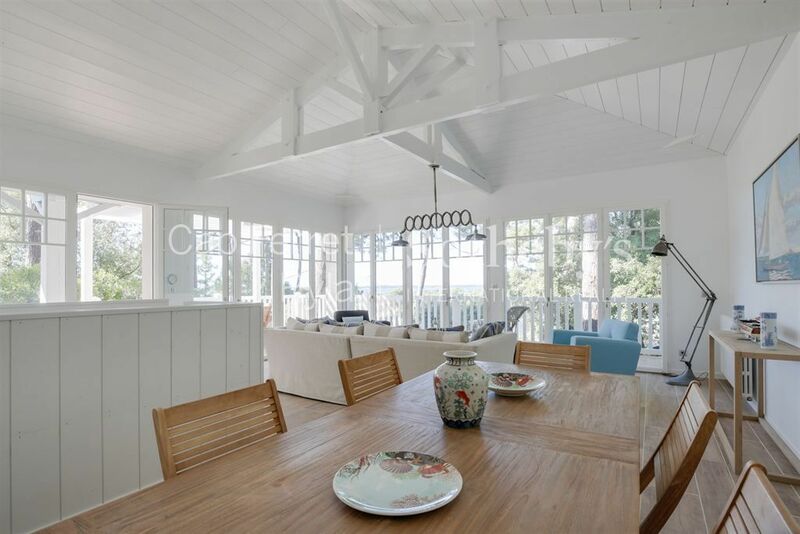 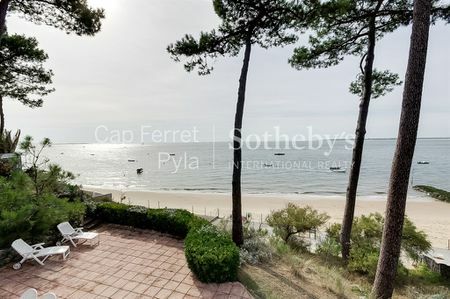 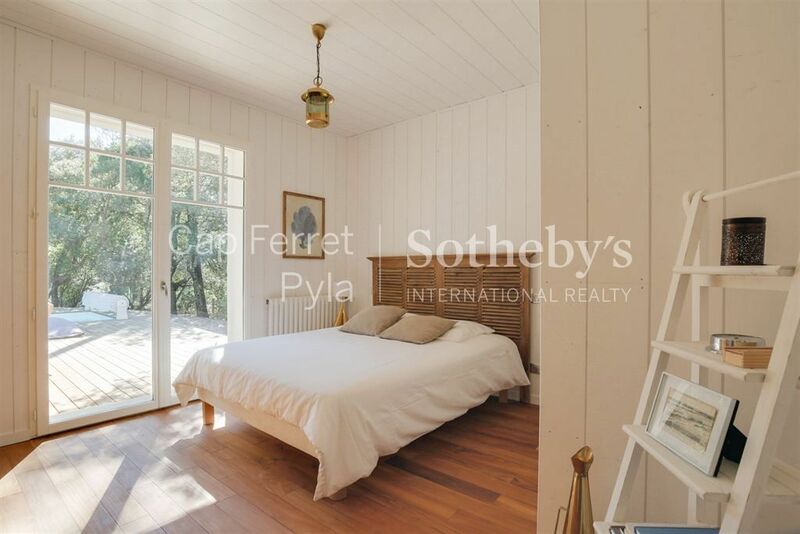 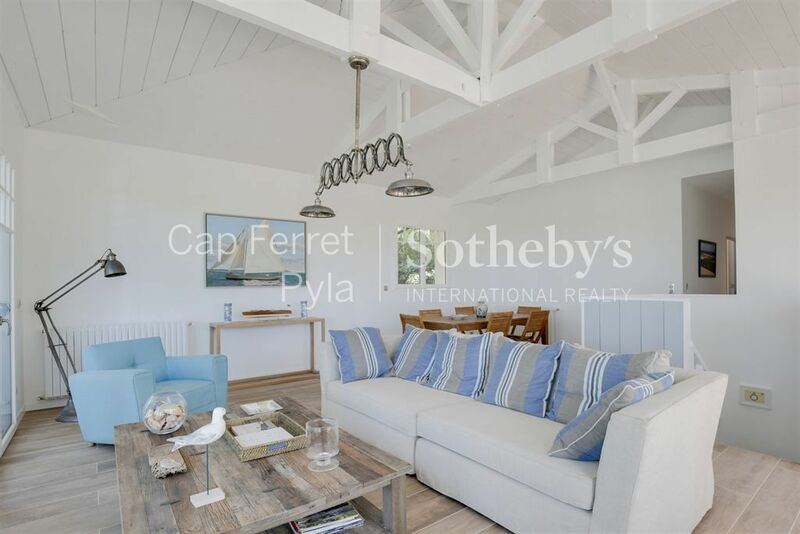 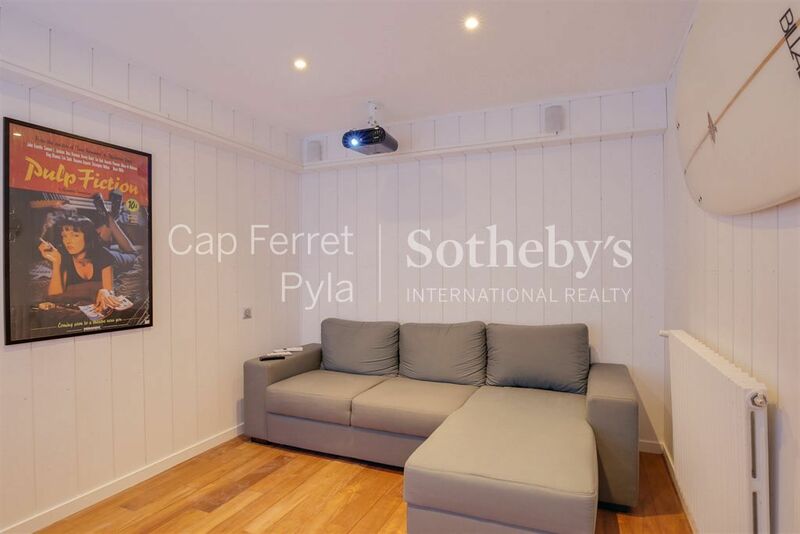 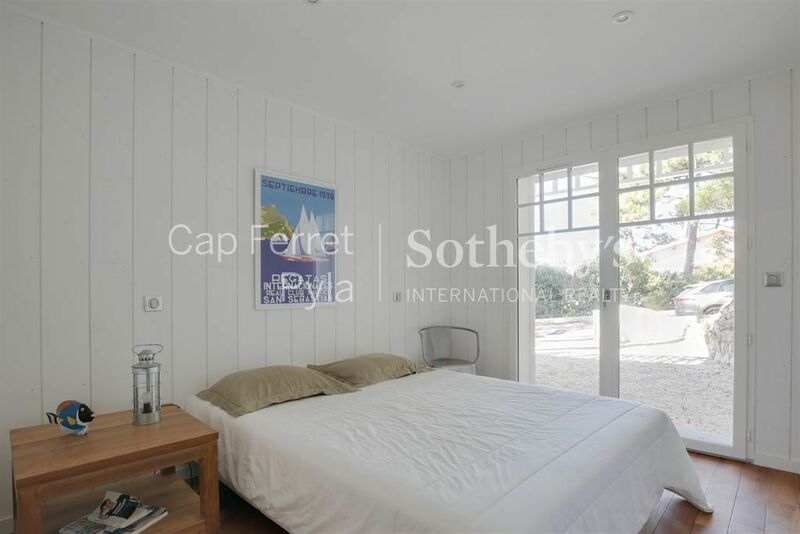 Ideally located in a quiet and relaxing area of ​​Pyla sur Mer near the forest, 5 minutes walk from the beach and the Sailing Club, this beautiful villa completely renovated in a pure Basin Spirit enjoys very spacious, large brightness and a glimpse of the Bassin d'Arcachon. 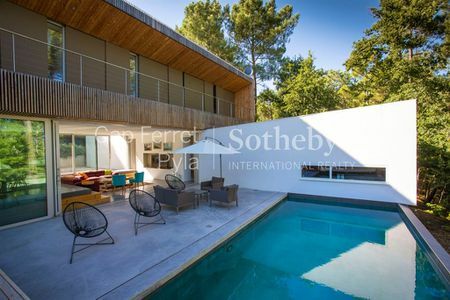 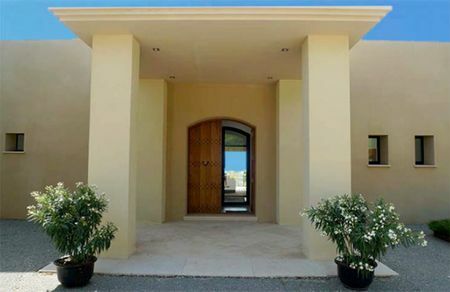 With a living area of ​​210m² completed by many terraces perfectly exposed with views and a beautifully landscaped garden on a plot of 960 m² with heated pool, it is composed as follows: -ON the 1st floor: A large living / dining room with basin view, separate kitchen, two bedrooms with terrace access, two bathroom and a dressing room. 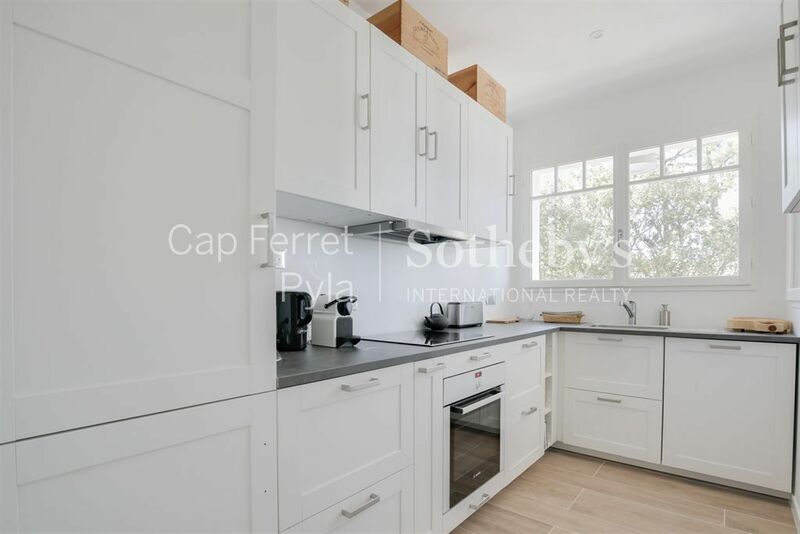 -On the ground floor: Two additional bedrooms with access to the garden, a shower room, a cinema room, a laundry room and a garage. 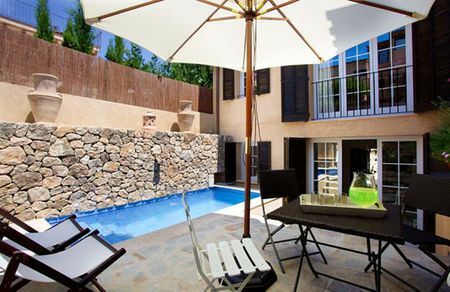 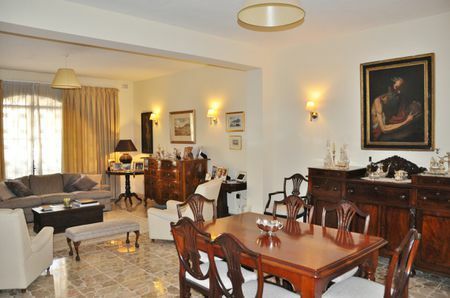 -Outside: An independent studio with shower room, a summer kitchen, a garden, a swimming pool, a large terrace with overview Basin and several parking spaces. 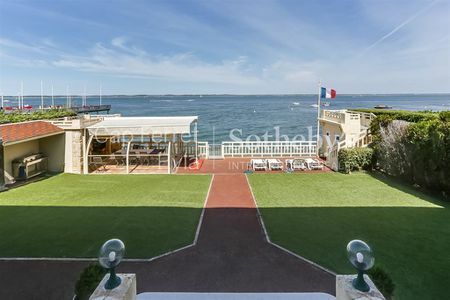 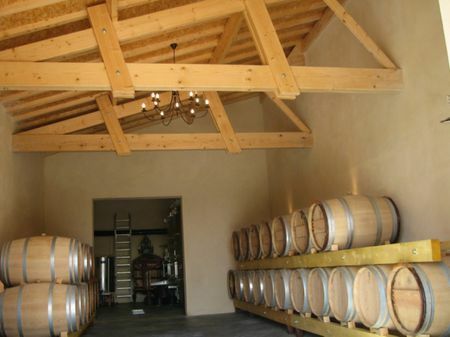 Contact: Jean-Alain NEBOUT +33 (0) 6 18 19 62 26.